Xerxes, Great King of the Persian Empire from 486-465 BC, is the focus of a lively new biography – Xerxes: A Persian Life – that reappraises his reign using the latest research in Achaemenid studies and archaeology to present the ruler’s role from a Persian perspective. 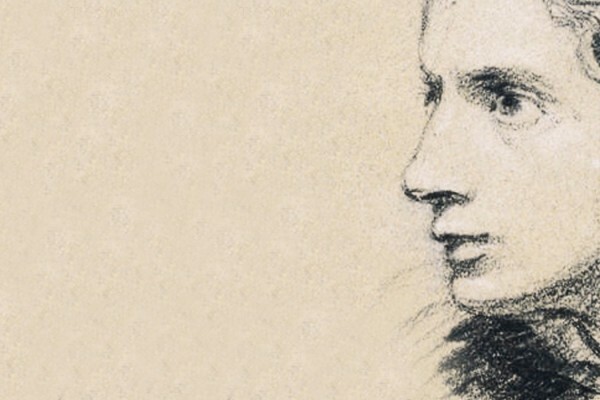 Author Richard Stoneman reveals a complex figure, who ruled a vast multicultural empire and whose successes have been largely overlooked. 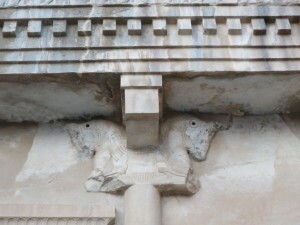 Persepolis is one of the most famous ruins in the world. 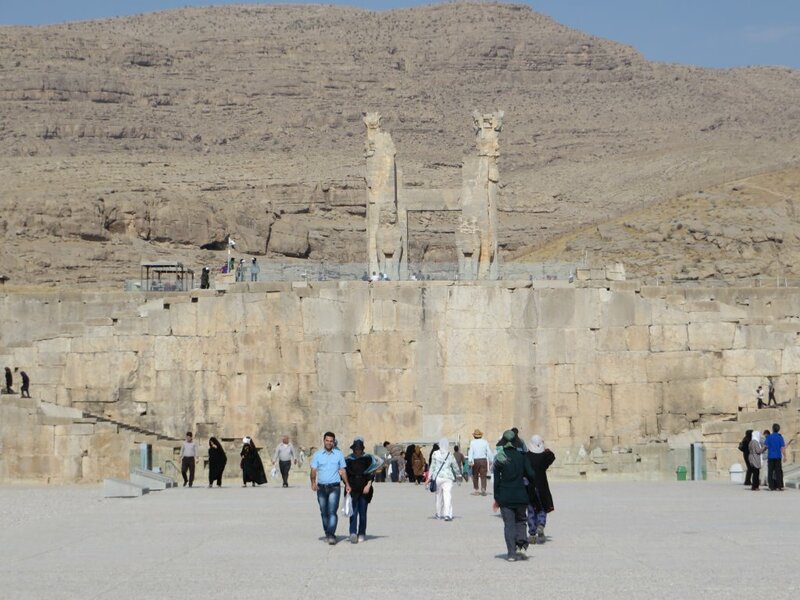 The magic of its name draws countless visitors every year: no visit to Iran is complete without seeing Persepolis. Begun by Darius I about 515 BC, it was continued by Xerxes (r. 486-465 BC),who was responsible for the most extensive building programme on the site, and was still expanding in the reign of Artaxerxes III (359-338 BC). In 330 BC it was destroyed by one of the best documented fires in history, set by the army of Alexander the Great in revenge for the destruction of temples in Athens. 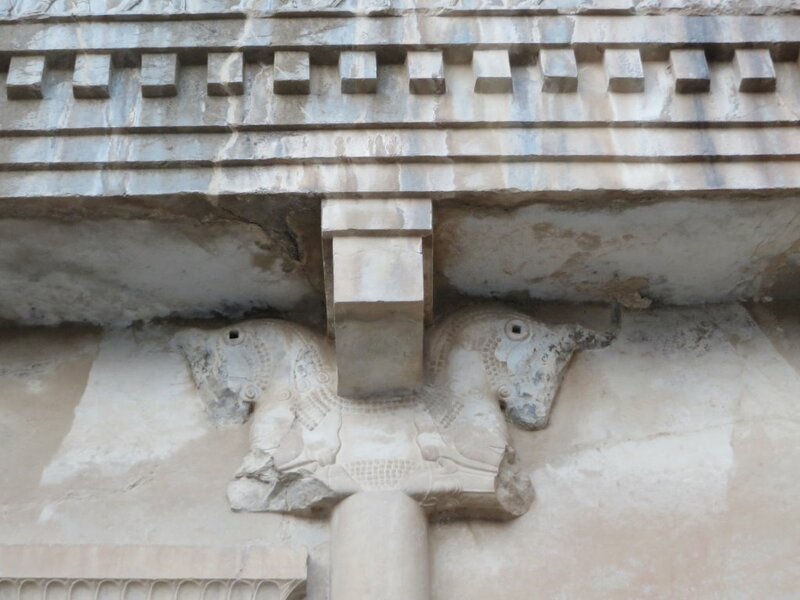 Though it was Darius’ conception, as an ensemble Persepolis is the work of Xerxes, and it is his true monument. Never rebuilt after Alexander’s destruction, it became a place of legend and ghosts for the local population. 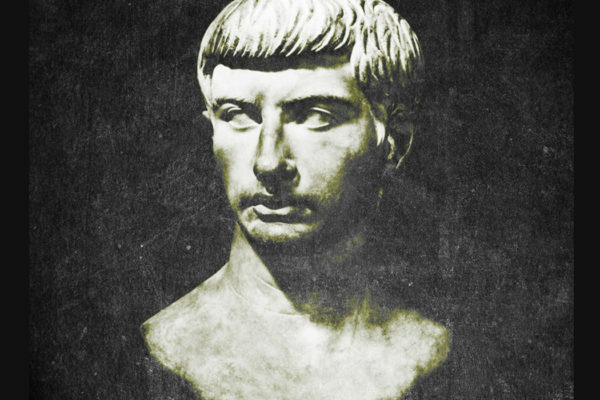 Diodorus Siculus is the only Greek historian to provide a description of what the site was like before the destruction by Alexander. 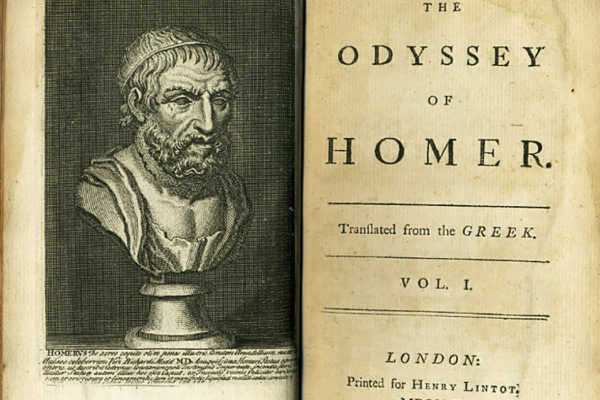 Diodorus had certainly never been there – in fact no Greek writer whose work survives ever went there, though Xenophon knew of it – and the description is presumably lifted from one of Alexander’s own writers. The citadel is a noteworthy one, and is surrounded by a triple wall. The first part of this is built over an elaborate foundation. It is sixteen cubits in height and is topped by battlements. The second wall is in all respects like the first but of twice the height. The third circuit is rectangular in plan, and is sixty cubits in height, built of a stone hard and naturally durable, Each of the sides contains a gate with bronze doors, beside each of which stand bronze poles twenty cubits high; these were intended to catch the eye of the beholder, but the gates were for security. At the eastern side of the terrace is the so-called royal hill in which were the graves of the kings. This was a smooth rock hollowed out into many chambers in which were the sepulchres of the dead kings. These have no other access but receive the sarcophagi of the dead which are lifted by certain mechanical hoists. Scattered about the royal terrace were residences of the kings and members of the royal family as well as quarters for the great nobles, all luxuriously furnished, and buildings suitably made for guarding the royal treasure. 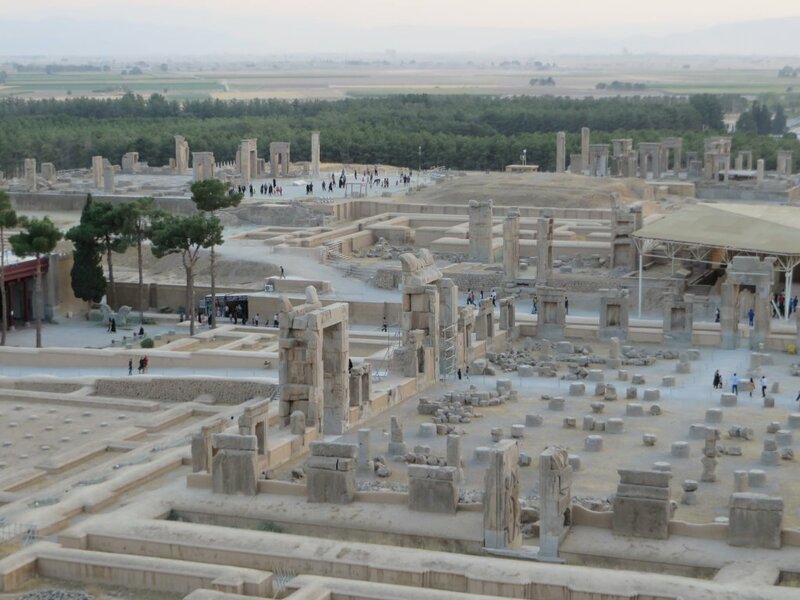 Greeks uniformly describe Persepolis as a polis, a ‘city’, but it is the palace area alone (Diodorus’ ‘citadel’) that has been excavated, though traces of the surrounding buildings are clearly visible. The ‘triple wall’ may be a garbled recollection of three levels of the site – plain, terrace and eastern fortification. Diodorus effectively conveys the awe-inspiring height of the terrace as you approach from the south. 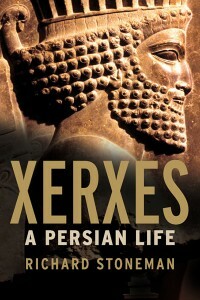 Xerxes: A Persian Life by Richard Stoneman is available from Yale University Press.